This plasmid is an empty vector. Your gene can be inserted via LIC cloning. 8-series vectors are induced with L-arabinose for tighter control of expression. Glucose can be added to the medium to further inhibit leaky expression. 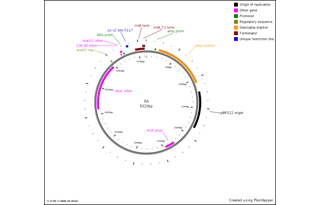 The plasmid can be expressed in any E. coli line that lacks proteases. 8A has no fusion tags, appropriate for expressing untagged protein. If your protein doesn't express well in this vector, note that expression can usually be enhanced by adding a short N-terminal fusion sequence. If this is the case for your protein, try one of our other arabinose-inducible LIC vectors (e.g. 8B). 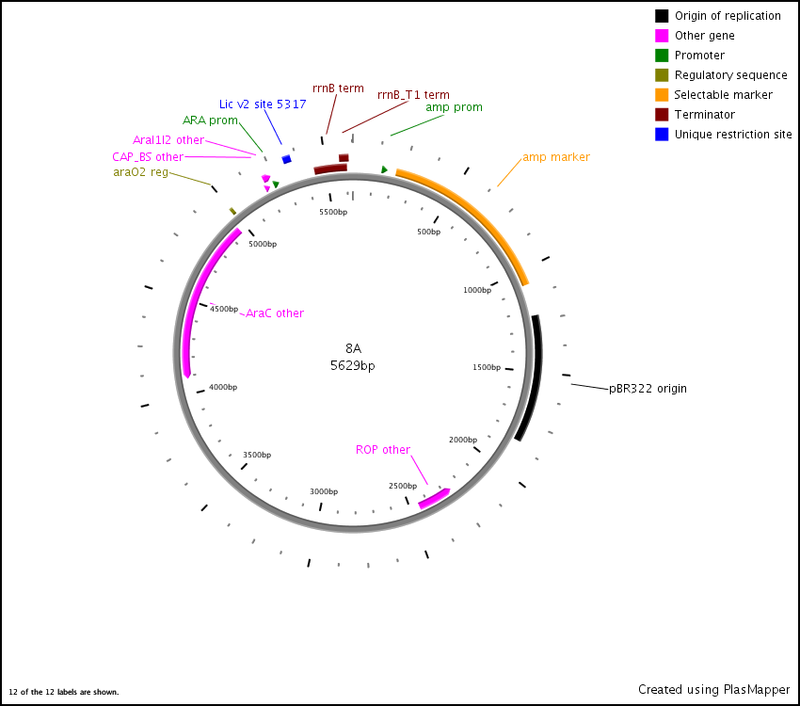 To clone into this vector, add LIC v2 tags to the 5' end of your PCR primers. Linearize the plasmid with EcoRV and gel purify. When digesting the DNA with T4 polymerase, use dGTP for insert and dCTP for vector.